Research has shown that infants are able to distinguish categories (cat vs. dog), identify emotions (happy vs. sad), and identify genders (boy vs. girl). These abilities develop through adulthood as we gain more experience with the world. However, Dr. Holly Gastgeb participated in research at the University of Pittsburgh which has shown that children with Autism Spectrum Disorder (ASD) have difficulty forming categories, identifying emotions, and identifying genders from an early age. Furthermore, even adults with ASD have difficulty with these skills under certain circumstances! First, let's focus on categorization and why this ability is important. Forming groups and categories is important for language learning. It provides organization to a world that may otherwise seem confusing to a young child. Imagine coming into a world with many sights, smells, sounds, and feelings that you have never experienced and having no way to organize this information. It would be completely overwhelming! As they develop, children learn "typical" or "more common" examples of category members (e.g., red apple) before they learn "less typical" or "less common" ones (e.g., yellow apple). Dr. Gastgeb's research has found that children, adolescents, and adults with ASD have difficulty categorizing less typical/common category members. While some improvement can happen over a lifespan, adults with ASD are not as proficient as those without. Therefore, when people with ASD come across objects that do not clearly fit into a category, it takes them longer and requires extra processing for them to figure out what it is. This can affect language learning, academic learning, and social interactions. Therefore, it is important for therapy efforts to teach categorization to children with ASD. 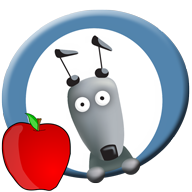 Learn with Rufus: Groups and Categories aims to help children learn groups and categories such as colors, shapes, fruits, and other common objects. Children will learn a variety of typical and less typical examples to help them form broad categories and to increase generalization. Secondly, we focus on emotion recognition. The ability to identify facial expressions and emotions is important for interpersonal interactions. It provides a basis for communications between two or more people. A young child may find such responses difficult and confusing at times. As they develop, children learn to associate certain facial expressions with given emotions that they use to decipher how another person feels. They also learn that other people can have emotions that differ from their own. Children with ASD tend to have difficulty with identifying emotions in themselves and others. Significant treatment effort is spent teaching these children how to identify emotions in themselves and others. These techniques tend to use visuals, social stories, and thermometers or other scales. However, these methods tend to focus on emotional extremes and not the subtle, fleeting emotions that we see in daily interactions. Research that Dr. Gastgeb performed found that children with ASD have difficulty identifying emotions that are not emotional extremes (i.e., subtle emotions such as slightly angry or a little bit scared). Moreover, it was found that little improvement was made from childhood through adulthood. In short, adults with ASD performed similarly to children with ASD. Therefore, it is important for therapy to teach not just emotional extremes but also subtle ones. Learn with Rufus: Feelings and Emotions aims to help children learn the facial expressions that correspond to feelings and emotions including happy, sad, angry, afraid, disgusted, and surprised. Children will learn how to identify easier fully-formed emotions and more difficult subtle emotions. Lastly, we focus on gender recognition. The ability to identify gender is also important for interpersonal interactions for it can provide a basis for communications between two or more people. A young child may find it difficult to identify a person's gender, especially when external cues such as hair, jewelry, and clothing are not visible. Children may also have difficulty with faces that are not typical of society's standard of masculine or feminine features. As they develop, children learn to associate certain facial features with the different genders. This skill allows them to decipher whether that person is a boy or a girl. Dr. Gastgeb’s research found that children with ASD have difficulty identifying gender from faces. While adolescents with ASD can identify faces that are more typical of each gender, they have difficulty with faces that are less typical. This is also true for adults with ASD. Similar to emotion identification, there is little improvement in gender identification across a lifespan. Therefore, it is important for therapy efforts to teach gender. Learn with Rufus: Boys and Girls aims to help children learn facial features that correspond to boys and girls. Children will learn how to identify gender from faces with typical and atypical features. Copyright © 2012-2017 Rufus Robot, Inc.